As 2015 rolls forward, there are several economic indicators that the housing market may have a break-out year. Let’s review the top three. With the recession behind us, more and more companies are adding new employees to the payroll. The unemployment rate has dropped 5.8 percent and 321,000 jobs were opened up in November, with all of this added work equating to improved consumer optimism. The Conference Board’s latest Consumer Confidence Index highlighted confidence weighing in at 19.5 percent higher than a year ago. As jobs continue to stabilize and moods lift, more potential homebuyers will enter the market as they become more eligible for a mortgage, and more capable of taking on those pesky mortgage payments. Home prices between January and October, 2014 rose 4.5 percent nationally, which—while still an uptick—is much mellower than the same period of time during 2013, when prices jumped 11 percent. 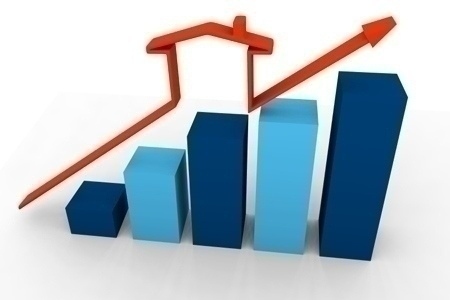 Additionally, mortgages have settled below 4 percent for 30-year fixed rates, and the combination of stable prices and low mortgage rates creates a cocktail of affordability that will shine a bright light on housing in 2015. There’s nothing like a sky high rental market to send on-the-fence buyers scurrying into homeownership. As more Americans took to renting when the housing market took a tumble, rents began to increase, and are currently at a seven-year high. And while, sure, renting offers flexibility and low-stakes living for millennials, a recent survey by Fannie Mae showed 9 in 10 would prefer to own, if it were possible. In December, both Fannie Mae and Freddie Mac announced programs that would allow first-time buyers to secure homes with low down payments (3 percent instead of the previously stated 5 percent) which will open up the doors for young people with high debt and low savings. “With rents now rising at a seven-year high, historically low [interest] rates and moderating [home] price growth are likely to entice more buyers to enter the market in upcoming months,” Lawrence Yun, the National Association of Realtors’ chief economist, says in a recent release. However, it’s not all peaches and cream for housing in 2015. Economists are predicting that, as prices stabilize, mortgage rates may begin to drift upward, settling near 5 percent by the year’s end. While this number is still low, historically, it’s higher than those low, cushy numbers we’ve been seeing of late.